We have no big plans for our Labor Day weekend. Usually this would be unacceptable, but we are going to relax, have the hubby grill some hamburgers, and finish up some projects that need to be done before the baby arrives and I fall behind in all the school and Fall sports craziness. If you are doing something more exciting this weekend, like having a barbecue, these cute Labor Day printables might come in handy. 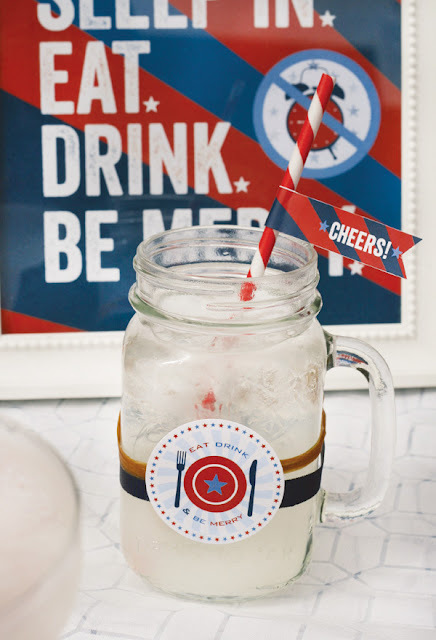 You can download the Labor Day barbecue printables, that include drink flags, cupcake toppers/party circles, an agenda, and and decorative signs over at Hostess with the Mostess.